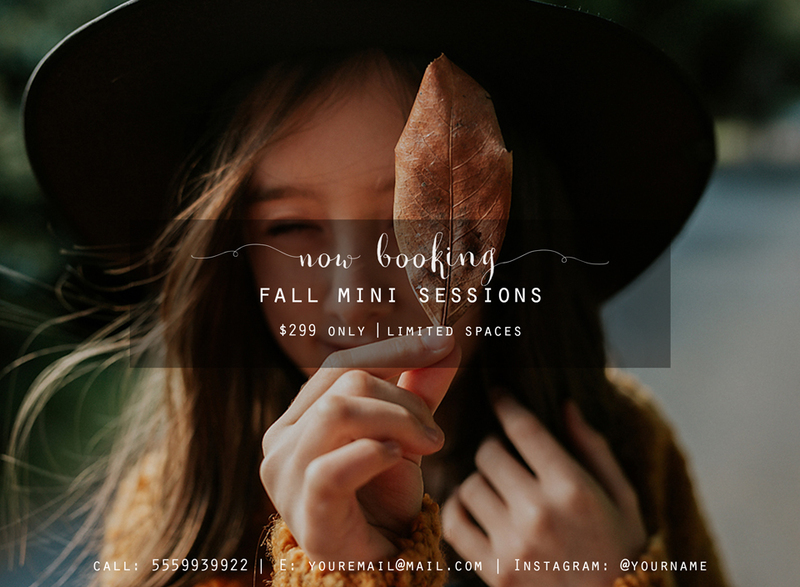 Have you thought about Fall minis sessions yet? This simply template can be use as a flyer, newsletter add, facebook add or blog announcement. It's very easy to modify to print in your home or pro lab and is compatible with PS CC, CS+ and Elements 6+. You can download this free Template here. 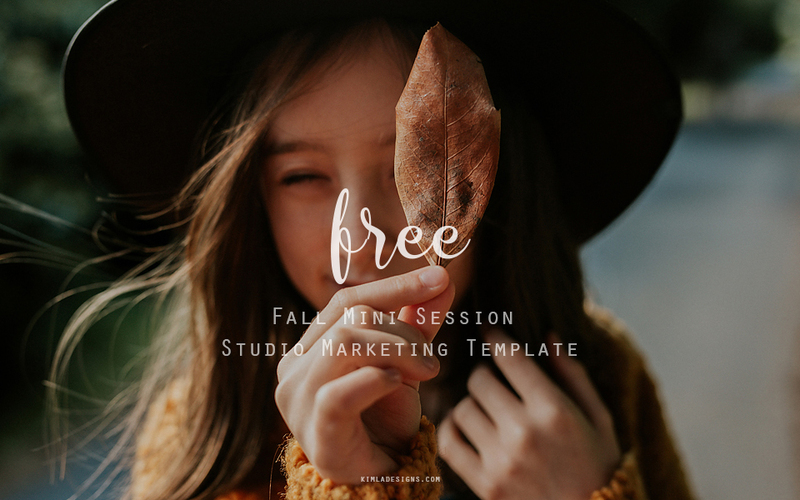 You might like to check our Etsy shop for more beautiful, high quality Photoshop Templates for Photographers.